Michael A. Kasper is the Chief Executive Officer of DuPage Medical Group. In this role he works with the Board of Directors and leads the Administrative Team to set the strategy and direct the operations of the largest independent, multi-specialty physician group in the Chicagoland area. DMG is physician-owned with more than 560 primary care and specialty physicians working together to improve quality, efficiency and access to health care for residents in west suburban Chicago and the surrounding counties. Prior to joining DMG in September 2010, Kasper was President of Humana Illinois. Kasper has also held executive roles with Coventry Healthcare, Aetna and Kaiser Permanente. In 2011, Kasper was named to Crain’s Chicago Business’ “40 Under 40” list for his superior business leadership and achievement in the Chicago area. In 2012, Modern Healthcare magazine recognized Kasper in its yearly “Up and Comers” list of honorees for his significant impact in the field of health care. Kasper is active as a community leader, serving as the 2008 and 2011 Co-Chair for the Chicago Heart Ball. He serves as a Board Member for the American Heart Association, a member of the Chicagoland Chamber of Commerce Board of Directors and Associate Board Member of the Metropolitan Chicago Healthcare Council. He is also a member of the Economic Club of Chicago. He has a Masters in Health Administration from Indiana University. Jonathan B. Lewis is a co-founder and Managing Partner of Sheridan Capital Partners, the direct private equity arm of a large, Chicago-based single family office. The family has successfully created and grown a large direct-to-consumer healthcare company, and Sheridan focuses on direct investing in and providing growth capital for healthcare and consumer business in the U.S. and Canada. Prior to founding SCP, Jonathan was at PNC Equity Partners in Pittsburgh, where he sourced, led, executed and managed private equity investments in the healthcare, consumer and specialty distribution sectors. Previously, Jonathan also spent time at William Blair Capital Partners and Lake Capital in Chicago. Jonathan began his career at Bowles Hollowell Conner, a Charlotte-based investment bank focused on middle market mergers and acquisitions. Jonathan earned a BA with honors in English, French, and Philosophy from Furman University and an MBA from the Tuck School of Business at Dartmouth, where he was an MBA Fellow with the Center for Private Equity and Entrepreneurship. Sean currently serves on the board of directors for Chicago Deferred Exchange Company, National Enzyme Company and Family Allergy & Athsma. 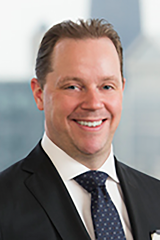 Prior to joining Prairie Capital in 2004, Sean was an Analyst in the Business Services Group in the corporate finance department of William Blair & Company, focusing on mergers and acquisitions advisory services and public and private equity financings. Sean graduated with honors from the University of Illinois with a BS in Finance. He received his MBA and graduated with honors from the University of Chicago Booth School of Business. He lives with his wife and three daughters in the western suburbs. Kevin L. Miller primarily represents private equity sponsors and their portfolio companies with respect to the corporate, securities, tax and regulatory aspects of complex transactions, including leveraged buyouts, in the health services and life sciences industries. Kevin also represents publicly traded health care companies, academic medical centers and nonprofit health systems with respect to mergers and acquisitions, debt and equity investments, strategic affiliations and joint ventures. As a transactional lawyer with extensive health regulatory experience, Kevin routinely counsels clients in evaluating health care industry trends and investment opportunities. He has the unique knowledge and experience critical to the efficient and successful structuring and negotiation of transactions involving health care companies. Kevin’s industry focus also means that clients receive seamless legal counsel regarding the complex strategic and operational issues facing health care providers and investors throughout the investment life cycle. Having advised clients on transactions, affiliations and investments in businesses and operations throughout Europe, Asia, Africa, South America and North America, Kevin also has the knowledge and experience necessary to advise clients with respect to cross-border transactions, foreign hospital project investments and multinational clinical operations. Chris is a Principal at Shore Capital, a healthcare private equity firm focused on partnering with companies that have between $1-7 million of EBITDA. Chris’ responsibilities include sourcing, evaluating and enabling the growth of Shore investments. Chris is on the Board of Directors of EyeSouth Partners and Chicagoland Smile Group and is actively involved in working with the management teams to identify and implement new growth initiatives. Prior to joining Shore, Chris worked at Quad-C Management, a Charlottesville, Virginia-based middle market private equity firm. While at Quad-C, Chris’ experience included working on the firm’s investments in Veterinary Specialists of North America, a veterinary services organization, and Dental Care Alliance, a dental services organization. Chris previously worked at Wind Point Partners, a Chicago-based middle market private equity firm, where he evaluated and executed private equity investments and assisted with portfolio company value creation initiatives in various industries including consumer products, healthcare services, general industrial, and business services. Prior to Wind Point Partners, Chris worked at UBS Investment Bank in Chicago where he provided mergers and acquisitions advisory services and debt and equity financing for companies across a diverse set of industries. Chris received a B.A. in Economics from Northwestern University and an M.B.A., with distinction, from the Kellogg School of Management at Northwestern University.